When You Try these Massage Balls, You'll Say they, Hurts So Good! These Hurts So Good!® Massage Balls were originally created for the YOGABODY® Fitness Studio Group where we previously used tennis or lacrosse balls in our deep-stretching classes. The tennis balls were too soft and the lacrosse balls were too hard and bruised students—hence, the Hurts So Good! Yoga Massage Balls x2 | Hurts So Good!® by YOGABODY® | Natural Rubber Creates Human-Like Deep Tissue Massage Experience on Soft Tissues has been added successfully to your wishlist. These Hurts So Good!® Massage Balls were originally created for the YOGABODY® Fitness Studio Group where we previously used tennis or lacrosse balls in our deep-stretching classes. The tennis balls were too soft and the lacrosse balls were too hard and bruised students—hence, the Hurts So Good!® Massage Balls were born. 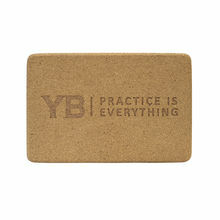 Eco-Friendly: made with natural rubber with 100% cotton carrying bag. The balls measure 3.5" in diameter, made with natural rubber and come with a 100% cotton carrying bag. The Hurts So Good Self-Massage Balls are amazing! The Hurts So Good Self-Massage Balls are amazing. I've been able to work on my own body every day, particularly in a specific spot in my shoulder where I've always had a problem. Over time I've noticed that one problem shoulder does not sit forward as it used to always do and my posture has become more symmetrical. My body feels looser after using the Self-Massage Balls on all body parts, and the reminder of the aches built up during a work day of standing are released. I have been encouraged to just use tennis balls, but the barely-forgiving consistency of these self-massage balls is so much more effective. They aren't called Hurts So Good for nothing! Love using the yoga trapeze almost daily …especially for inversion poses. Great for my spine. Love the Hurts So Good Massage Balls, too. I called today Fascia Friday, so I used the yoga balls to hit the spots that need some extra attention. Thanks for the videos, podcasts and so much more! I get planter fasciitis in my foot and the roller balls have really helped. They have to be my favorite. I sit at a desk all day and after rolling on them my shoulders don't hurt anymore. I finally have got my trapeze up and starting to use it. In less than a week I feel stronger. The yoga rubber balls help with sore muscles which make it difficult for me to stretch. My tight sore muscles are more chronic and so I apparently have inflammation. Once I figure out how to relax the tight groin muscles, hips and back I hope to be able to use the yoga swing. The balls are a great size and made out of very good material. There are no problems with using them. This is a company that knows what they are doing, and helping in many ways to help everyone. It is great that you can listen to talks as well. I love the massage balls! I love the massage balls! I had an acupuncturist prescribe me a similar course of health for my back discomfort over 20 years ago!!! She suggested tennis balls with the same practice as your videos suggest and I decided to try your product. I like that they are bigger than the tennis balls and I like the practice videos. I love the Yoga Balls (unfortunately so does my dog! But they are still in great shape). I'm able to release tension in very specific areas (particularly my feet) anywhere…I love to do it at work under my desk. I have not been able to get into the trapeze videos as much as I wanted but I have used the mp4 of the 14 poses. this has helped so much in getting me started and I look forward to trying the flows. I have noticed that when I use it, my back feels so much better and dare I say my last doctor visit said I was my original height again)…I had "shrunk" by almost 2"! I'd like to think the traction has helped decompress my spine! So that's pretty great! I like the size, softness of the balls. Great to give yourself a little massage. The balls help a lot! The massage balls are amazing!! Perfect texture and consistency. Helping w my sciatica–my whole pelvis is realigning as I get deeper into my back bends and has been so painful!!!! My Hurt So Good Yoga Balls are amazing. I try to use them every day and pack them in my bag every time I travel or attend a class. My Yoga Trapeze has been a fun adventure. I am waiting for the frame to arrive, which I pre-ordered a couple months ago (and am slightly miffed that I paid for full shipping, which was quite expensive, now that I have yet to receive my frame yet your holiday discounts include free shipping), which will be great. The doorway where I hang my trapeze is a bit claustrophobic, but I still enjoy the opportunities it gives me for inversions and some light traction. I have already recommended YogaBody to many friends, especially the Hurt So Good balls and your excellent podcast. I don't yet have a formal yoga routine, but the massage balls have really helped with tension release and muscle relaxation. Also, the foot spaces have helped me incrementally with my balance. I've been working out consistently for the last few months and have a lot of sore muscles. Doing a massage routine post-workout has really helped with tightness and pain. I love the massage balls. I get regular very deep tissue massages 1x a month and these balls plus the gravity yoga has helped my therapist get into deeper areas there were not possible before. I use the balls on my low back after riding. The massage balls get used in my house almost daily! The massage balls get used in my house almost daily! My husband and I use them to work out tension and tight muscles. I really love using them to open up the energy in my feet, which helps my entire body to feel more energized and open. help to eliminate soreness after working out. The yoga balls help stretch and loosen up so my practice and other exercise is more effective. They also help to eliminate soreness after working out. The balls are amazing and really help with sore muscles and the app makes doing yoga on the go so much easier. I have a job where I sit all day and I try to be very mindful of my posture. However, I have always struggled with tension and knots in my shoulder area due to my posture and the sitting. I purchased the Yoga Balls as a way of relieving them at home with having to get regular massages and the my work great!! I have recommended to several friends who have also since purchased them. The massage balls are incredible on sore muscles! They have been a great asset for practice. muscles! As a 25 yr alice fed Massage Therapist, i've been using & instructing with a variety of self care balls for 25yrs, your's are by far two of my favorites! I also really like the silicone toe separators; they are my very favorite! They are dense enough & washable in the sink after each use. love that! Yes certainly has helped. ,ove the gravity yoga book and the balls are sensational. The Yoga Balls are fantastic! The Yoga Balls are fantastic! I've been practicing Massage 24 yrs now and teaching self care on balls for 20; these are by far my favorites. I love the size, the texture, and having two is fantastic for double foot, double shin & double calf work!! I'm a big fan of the inflatable options, however this rubber is really perfect for a dragging myofascial release. Go Team Release & Empowerment. Hurt So Good Massage Balls have helped me heal so much. I have become a better teacher and yogi because I can access more without tight muscles. Really great for unlocking knots in my shoulders after a long day. My wife and I take turns using them on each other when we're watching tv. I have been using the Hurts So Good Massage Balls to relieve pressure points in my upper back and neck that are the result of repetitive stress injuries from working at a computer all day. Using the massage balls at the end of a day has helped relieve the pain and get a better night's sleep. I received my Massage balls as a free gift when I bought my yoga trapeze and I love them! I have a couple of spiky balls that I've used for years but I love the Hurt So Good ones better. They are great for getting into those sore, tired and achy muscles. I also carry one around in my work bag so I can massage my feet all day when I am at my desk. The Hurts So Good Balls have been amazing for massaging the tight muscles in my gluten and hamstrings. I have even recommended them to my students with tight hips and thighs. They work amazing for my back as well. I also love the Yoga Toes. I wear them to bed and during my practice. They are amazing! On my left side my toes are really stretchy and on the right side they are not so stretchy due to some nerve damage from an accident in my youth. Yoga Toes have really helped me gain control of my toes on the right side. I hope someday that my toes can get more space with more use. I just got the Yoga Wheel and have done the least amount of practice with this but it works great for keeping my spine in line when things are getting tight and out of line. I have already recommended some of these products to my students and I bring them to class for my students to try out. Thanks! The Balls are a great way to give myself a massage. The Balls are a great way to give myself a massage. I am still finding my way with the wonder wheel. So far I only use it to open my upper spine. I have used the Hurt So Good massage balls only several times so far, but they have been very effective in relieving pain and stiffness in my shoulders and upper back. They are much better than the hand massage my husband has been giving me and the self massage with them feels great.